Smile Technology Co.Ltd was founded in 2001, Headquartered in Shenzhen. We are professional in manufacturing and marketing flight cases in China, We make custom cases in a variety of styles & colors for 12 years.Our main products include amp cases, DJ cases, mixer cases, lighting case, utility road cases, plasma cases and related equipment, Passed the ISO9001:2008 quality management system certification, and obtained the German TUV certificate. As well as continuously creative new production,Our products have been up to the international standards We has been providing musical instrument cases, drum cases, flight cases,mobile cases and many other styles of cases to a wide rang of nationwide industry professional. We offer a number of construction levels in the manufacturing process from heavy duty ATA flight cases to our new line of alternative cases to meet every need and budget.Smile Technology is committed to the idea of "Quality, Service and Delivery". With an extensive line of stock items, we can meet your most urgent requirements. Nowadays, Smile Technology become the leading brand in flight case industry, win a high admiration and is widely trusted at home and abroad. its quality and reputation are highly praised and appreciated by the consuming public. 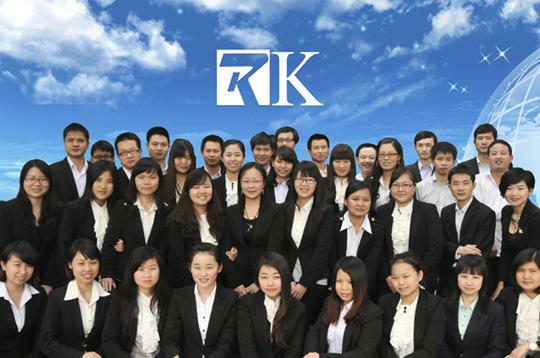 RK products are sold widely in more than 40 countries and regions, Annual sales revenue exceed 4.5 million USD.